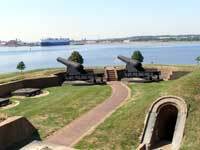 The Fort is located in Baltimore, Maryland at 2400 East Fort Avenue, Baltimore, MD 21230. 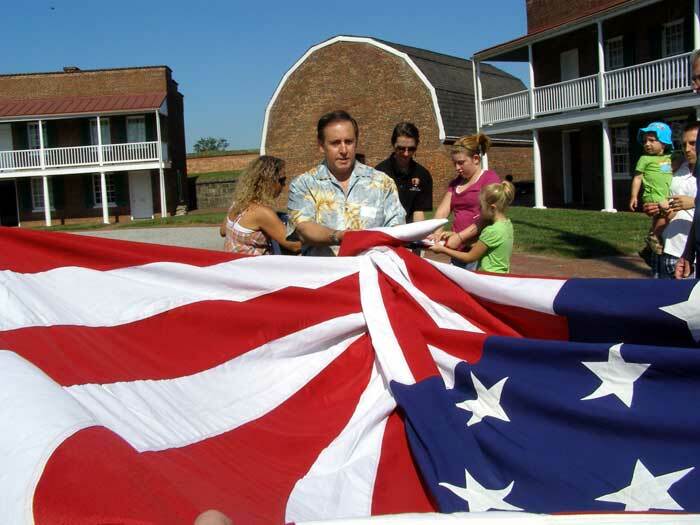 Did you know: every newly designed U.S. flag is first flown over Fort McHenry. 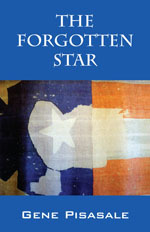 Did you know: Frances Scott Key wrote the Star Spangled Banner during the War of 1812 at Fort McHenry. After the destruction of Washington by British forces, Armistead knew his stronghold would be next. He gave orders to produce 320,000 musket cartridges and artillery rounds for the general defense of the city. 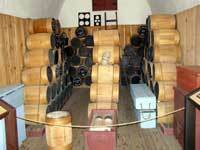 The gunpowder came from a small, upstart company based in Wilmington, Delaware named Du Pont. 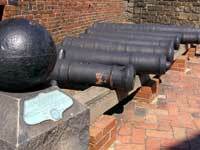 On September 11, 1814 the English expeditionary force arrived in the Patapsco River below Fort McHenry. British General Ross landed 9,000 men at North Point to begin the march west to Baltimore The bombardment of Fort McHenry began early in the morning of September 13th, warships hurling a total of more than 2,000 cannonballs and exploding Congreve rockets at the citadel. Being held captive on a ship was Francis Scott Key, asked to intercede on behalf of Dr. William Beanes, who’d been taken prisoner because he’d formed a vigilante group to capture straggling British soldiers. Key received President Madison’s approval to sail out to the British flotilla with attorney John Skinner. After seeing letters from captured British soldiers attesting to their good treatment at the hands of the Americans, the English commander agreed to release their prisoner, but not until the assault on the Fort was completed. For 25 straight hours the offensive continued, bombs exploding all around the Fort- but only one quarter of them got to their target. Sunken rigs positioned by the Americans prevented the armada from proceeding up river, restricting the effectiveness of the British guns. After expending thousands of rounds of ordinance, orders were given around dawn to cease the naval assault. As they sailed away, one British sailor noted in his diary that the Americans “hoisted a splendid and superb ensign on their battery…” That flag would become one of the most celebrated symbols in American history.